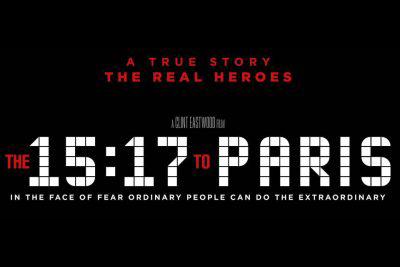 After watching Clint Eastwood's 15:17 to Paris I was filled with a strong sense of patriotic pride. Alek moves to Oregon. Spencer joins the Air Force. Anthony switches schools ─ but this is not the end of their troubles. Last month, Clint Eastwood released a film capturing the real life events that took place on Thalys train #9364 in the new film 15:17 to Paris. In Clint Eastwood’s and Warner Brothers Pictures’ production commemorating the heroic acts of three American men on a train, the company has grossed $41.3 million in box office. 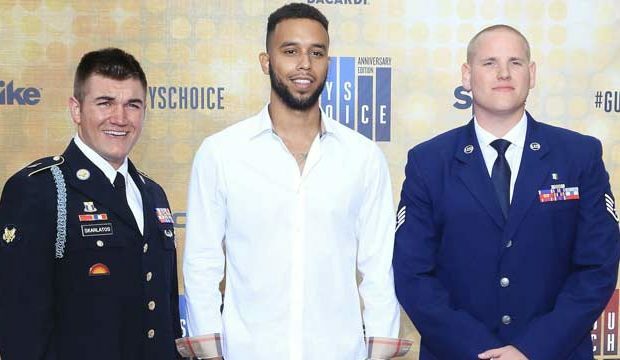 The film starred Spencer Stone, Anthony Sadler, and Alek Skarlatos as themselves, as it was pretty uncommon. The film showcased the separate lives of each of these three friends and what leads up to an event that would forever change their lives. The film highlights the life of Spencer Stone most prominently. From the very beginning of the movie Spencer had always been fond of war. He and his best friend Alek wear camouflage just about every day to school. Ironically, Spencer and Alek do not blend in by any means. Spencer struggles when his best friend Alek has to move to Oregon, although he still loves everything to do with serving our country. Spencer is a pretty big kid and while watching a football game with his friend Anthony he decides that he will apply to become a candidate for the US Air Force. He wants to become a paratrooper, but after failing a depth perception test he realizes he is unqualified. So Spencer joins a different branch of the Air Force. Alek Skarlatos, an Oregon National Guardsman, grew up somewhat similarly to his friend Spencer. Living in a home with a single mother, Alek and Spencer relied on each other for support as boys. The three friends start getting into trouble at their Catholic school when the principal makes the decision that it would be in Alek’s best interest to move in with his father, who lives in Oregon. Although the boys live in different states, their friendship carries on throughout their lives. Anthony Sadler makes the trio, when he meets the boys in the principal’s office. The three of them have a grand time as middle school boys do, and remain close throughout their lives. It wasn’t until Anthony was in the picture that the boys found themselves getting into trouble, but the fun times are still carried out even without Alek around. This film was unique in the sense that Alek, Anthony, and Spencer all acted as themselves. The movie was basically a timeline of the three friends’ experience as they traveled the world. The focus of this film was on the events that took place in each individual life leading up to the events that unfolded on the train. The audience learns the back story of each individual to inspire all of us who may be in a dangerous situation to take action. The only issue I had with the film is that I wish that a little more of the storyline was developed around the actual event that took place, but other than that I cannot complain. After the movie we can see that the three friends went through a tough decision making process in the moments prior to saving the lives of hundreds on the train. It was arguably the toughest decision of their lives and they were rewarded with great honor. Through and through this movie captures the true spirit embodied by any selfless, tough, brave American hero not only on the battlefield, but in everyday life.